Gaido, C. 2017. The trade secrets protection in U.S. and in Europe: a comparative study. Revista La Propiedad Inmaterial. 24 (dic. 2017), 129-144. DOI:https://doi.org/10.18601/16571959.n24.06. Only by deeply understanding the new laws that govern trade secrets protection in the United States and Europe, companies will be able to effectively protect their own trade secrets. The purpose of this paper is to highlight the similarities and differences between both regulations to give useful guidelines to international companies who deal in both geographical areas. Therefore, the paper will focus first on the economic value of trade secrets and the costs related to cybercrime and cyberespionage. Then, it will analyze the US and EU historical legal backgrounds that brought to the adoption of both laws. Finally, this article will make a comparative analysis of the provisions in each law. Hence, the paper makes potential suggestions for companies that deal in both regimes. Akenbrandt, Brian; Vormann, Thorsten & Hertlin, Richard. Comparing U.S. and EU Trade Secrets Laws. Washington/Brussels: Trans-Atlantic Business Council, 2016. Almeling, David S. et al. A statistical analysis of the trade secret litigation in federal courts. Gonzaga Law Review. Spokane, WA: Gonzaga University School of Law, 2010, 45, pp, 291-293, 301-02. Almeling, David S. Seven reasons why trade secrets are increasingly important. Berkeley Technology Law Journal. Berkeley, CA: U. de Berkeley, 2012, 27(2), pp. 1098-1106. issn: 1086-3818. Almeling, David S. Four reasons to enact a Federal Trade Secrets Act. Fordham Intellectual Property, Media & Entertainment Law Journal. New York, NY: Fordham iplj, 2009, 19(3), p. 769-798. issn: 1079-9699. BBC. US charges six Chinese nationals for stealing trade secrets. Directive 2016/943 of the E.U. Parliament and Council on the protection of undisclosed know-how and business information (trade secrets) against their unlawful acquisition, use and disclosure. European Parliament. Report on the proposal of a Directive of the European Parliament and Council on the protection of undisclosed know-how and business information (trade secrets) against their unlawful acquisition, use and disclosure, 2015, 7. Guzmán Delgado, Diego F. Secreto empresarial. In E. Rengifo García (dir.). Derecho de patentes. 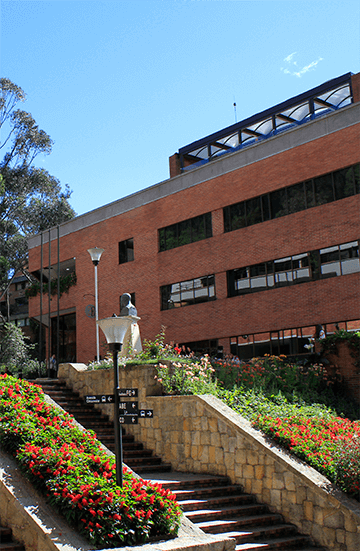 Bogotá: Universidad Externado de Colombia, 2016, pp. 938-940. isbn: 9789587725599. Lao, Marina. Federalizing trade secrets in an information economy. Ohio State Law Journal. Ohio: The Ohio State University, 1998, 59(5), pp. 1633-1696. issn: 0048-1572. Lemley, Mark A. The surprising virtues of treating trade secrets as IP rights. Stanford Law Review. Stanford: Stanford Law School, 2008, (61), 311-316. issn: 0038-9765. Macafee. Net losses: Estimating the global cost of cybercrime, economic impact of cybercrime ii. Washington: Center for Strategic and International Studies, 2014. Mandiant. apt1: Exposing One of China’s Cyber Espionage Units. 2013. Milgrim, Roger M. Milgrim on Trade Secrets, 2015, §15.01, pp. 4-15. Payán Rodríguez, C. Felipe. Secreto empresarial, vigencia como mecanismo de protección en la propiedad intelectual (Trade secrets, validity as an intelectual property). 2011. In Revista La Propiedad Inmaterial. Bogotá: Universidad Externado de Colombia, 2011, (15), pp. 207-224. issn: 1657-1959. Peabody vs. Norfolk, 98 Mass. 452, 457-458 (1868). Purdue, Glenn. Understanding the economic value of trade secrets. American Bar Association Journal. Chicago, IL: aba., 28 March 2014. issn: 0002-7596. Rengifo García, Ernesto. Dir. Derecho de patentes. Bogotá: Universidad Externado de Colombia, 2016. isbn: 9789587725599. Sanger, David E. et al. China’s Army seen as tied to hacking against U.S. The New York Times, Feb. 19, 2013. issn: 0362-4331. Seaman, Christopher B. The case against Federalizing Trade Secrecy. Virginia Law Review. Charlottesville, vi: University of Virginia, School of Law, 2015,101(2), pp. 317-394. issn: 0042-6601. Torremans, L. C. The road towards the harmonisation of trade secrets law in European Union. Revista La Propiedad Inmaterial. Bogotá: Universidad Externado de Colombia, 2015, (20), p. 27-38. issn: 1657-1959. Vickery v. Welch, 36 Mass. (1 Pick.) 523, 524 (1837). Yeh, Brian T. Protection of trade secrets: Overview of Current Law and Legislation. Congressional Research, 2016, p. 5.